Assistant Professor in the marketing department at HEC Montréal, Mr. Lussier has expertise in business development, relationship sales, sales team management, sales force effectiveness, B2B marketing. , ethics as well as positive psychology applied to sales. 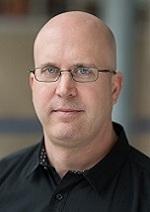 Prior to his academic career, he worked for several years in consulting, training and management positions, allowing him to connect the theory with concrete anecdotes from his professional experience and research results.